Discover how to predict large-scale weather events, from hurricanes and tornadoes to droughts and floods, with astrology as your guide. 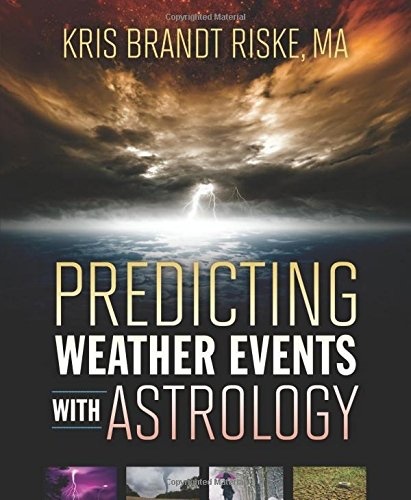 Using past examples of what was in the stars when major events occurred and providing sample calculations for future dates, Llewellyn’s bestselling astrology author explains how you can chart weather events. 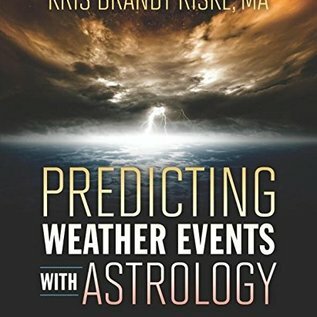 Predicting Weather Events with Astrology features an extensive collection of techniques for forecasting weather that will occur weeks, months, or even years in advance. By studying the planets and their aspects, solar ingresses and lunar phases, and latitude and longitude, you can generate predictions for weather events happening at any time, any place. Ideal for intermediate astrologers and weather enthusiasts, this comprehensive book is an indispensible guide to astrometeorology.